We’re pleased to inform you about the following information we’ve received from the Navigraph team. With cycle 1811 we are releasing another charts format to complement the existing Instrument Flight Rules (IFR) charts in Navigraph Charts. The Commercial Airline Overlay (CAO) charts were developed by Jeppesen to better support pilots that primarily operate category C and D aircraft. It uses Constant Descent Final Approach (CDFA) technique whenever possible; has a to-scale approach chart depiction of Minimum Safe Altitude (MSA); and features DME reference circles to show relevant distance and radial information to a suitable VOR/DME, ILS/LOC DME, stand-alone DME or TACAN. CAO charts are currenly available on a select subset of airports. 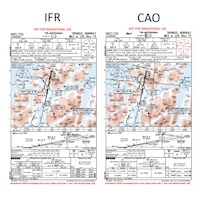 For a more complete overview of the differences between IFR and CAO charts, please see this PDF file. The CAO charts are available immediately in a web browser to Charts Cloud users, while clients on Windows, Mac, iPad and Android require an update to see the charts. In the normal case clients update automatically or display an update reminder, but if you require a new install, please go to our product web page to download the latest version. You may switch to CAO charts in the Settings interface via the cog wheel icon in the upper right corner. 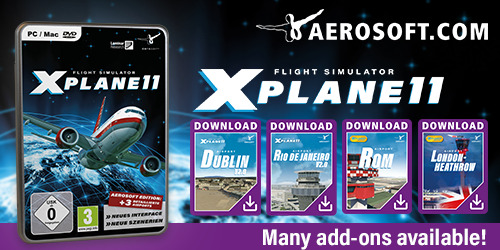 The new chart format is included in the existing subscription. We are happy to take your questions regarding the new format in the support forum. The Jeppesen charts in the Navigraph Charts product suite have been updated – airport charts as well as enroute charts.